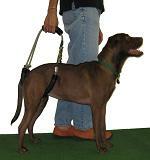 If you are looking for a dog wheelchair because your pet has lost the use of his or her front or hind legs, the following internet resources may help you as you begin your search process. While not an exhaustive list (or endorsement) of manufacturers and suppliers, reviewing some of these web sites may give you a better understanding of what is available to help your pet gain more mobility, freedom and joy in his or her life. 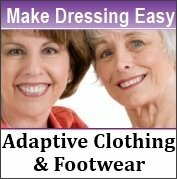 The sites include information on a variety of different wheelchair or cart types, including sling and saddle designs that support the back legs, front legs, or all four legs. In addition, you will find information about cart construction and materials, as well as other mobility related products for your review. Please note that the sites and companies listed above are not affiliated with Mobility-Advisor.com. They are provided for informational purposes only and listed in random order. 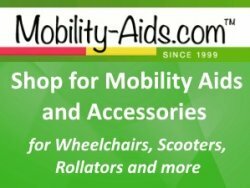 No dog or cat wheelchair company is recommended or endorsed by Mobility-Advisor.com. When inquiring about a dog cart, ask about warranties, fitting, shipping, measurements, servicing, delivery timing, and pricing options. 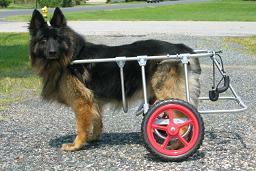 Always check references before making a decision to order a dog wheel chair from a particular company. Ask questions of past customers to determine overall customer satisfaction, service responsiveness, performance, and durability. It may also be helpful to you to find out how their dogs adapted to the pet wheelchair and the impact it made on their daily mobility and well-being. Of course, you should always consult with your veterinarian before making any purchase decisions. 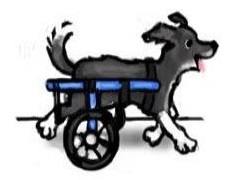 If you have experience with an organization or company that provides custom-fit pet wheelchairs for dogs or cats, please let us know by sending an email. Please share information about the organization and your satisfaction level. 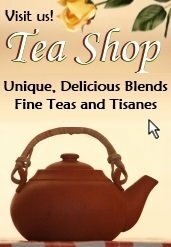 We will review your input and consider the website for inclusion in this listing.